Premier League or Serie A for André- Pierre Gignac ? The 28 years old striker, is currently a key member of the squad at the Stade Vélodrome, but his high wages, 3.7 M Euros per year, make it impossible for the Phocean club to offer a contract extension. Marseille, is not the only french club with financial problems due to several taxes, and in Gignac’s case the infamous 75% tax, blokes any negotiation, for the player refuses to sign a new contract with less wages. The player’s contract expires at the end of the season; therefore it’s a good opportunity for clubs looking to hire a prolific striker and young enough for at least two or three years of good service. Several foreign clubs are interested,(Daily Mirror, L’Equipe) mainly in England and Italy. No problem ? It seems that his agent sees his client through rose-tinted glasses. Why? This player is problems prone. Rejected from his hometown’s club FC Martigues, after being informed that he needed to bulk up, young Gignac got another chance in Brittany’s Lorient and the club’s charismatic coach, Christian Gourcuff. After developing in the club’s Youth Academy for two seasons, Gignac was promoted to the club’s senior team for the 2004-05 League 2 season. After scoring 11 + 8 Cup goals with Pau FC( on loan), he was transferred to Toulouse amid controversial circumstances; the player had agreed a pre-contract with LOSC Lille, but Toulouse trumped Lille’s offer by proposing to double the player’s wages. The two clubs entered a war of “communiqués” questioning each other’s legitimacy. Eventually Dédé‘s Gignac move to Toulouse was validated. Gignac made his competitive debut for Toulouse in the first leg of the club’s UEFA Champions League third qualifying round match against Liverpool as a substitute(defeat 1-0 and elimination). The new Toulousain had a disappointing first season, scoring only 2 goals in 28 appearances. It’s also the beginning of his weight problems. After the departure of Johan Elmander, Toulouse’s number one striker,” Dédé’s” form blossomed and scored several braces. He finished the season in Ligue 1 Team of the Year and received the League’s Top Scorer Award. 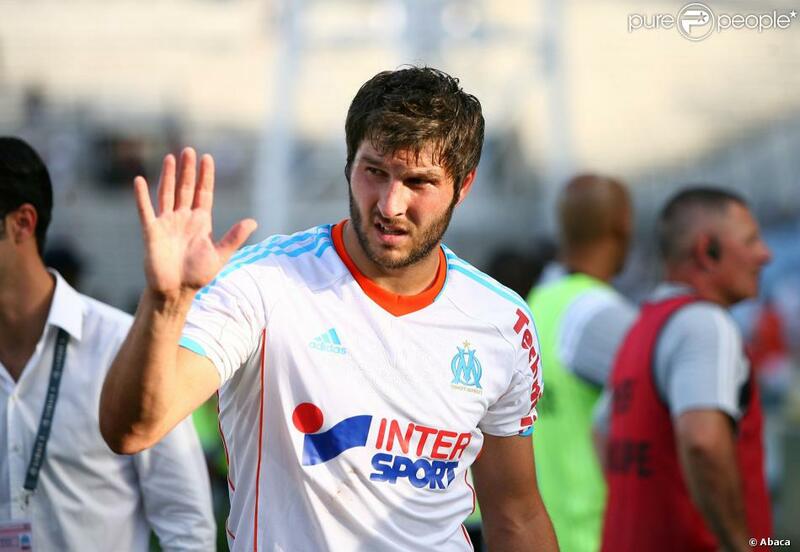 On August 2010, Marseille’s president Jean Claude Dassier confirmed Gignac’s transfer for an undisclosed transfer fee. ( 16-18 M Euros ?) Madrigue’s native, scored his first goal vs St Etienne and a hat-trick in the 7-0 away win against Slovac club MSK Zilina in the Champions League group stage match. Unfortunately for him, he endured a rough patch for the majority of the fall season, which led to criticism from local media, club supporters and former club players, as Ballon d’Or Winner, Jean-Pierre Papin. Junk food , laziness, were the supporters griefs and cherry on the cake, marital problems, with all the sad consequences . 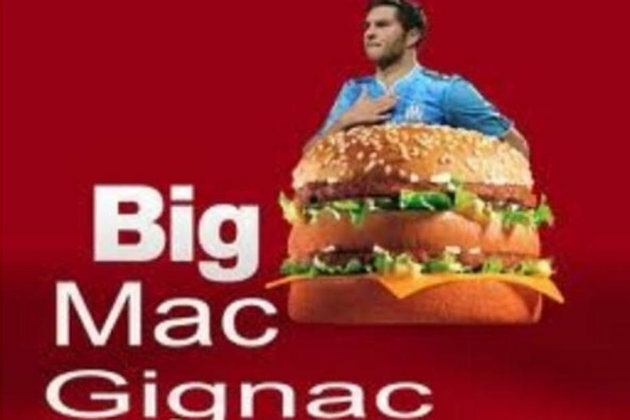 It was clear that the player’s body had changed; his house in a little paradise called Cassis, wasn’t near the stadium, so he used to skip the training center’s diet meal and after training siesta, to avoid on his way back, Marseille’s traffic jams.His addiction to junk food gave him the” Big Mac Gignac” nickname. With new appointed manager, “El Loco” Bielsa, Marseille’s squad have benefited a new boost, delighting their fans. Gignac lost several kilos, left Cassis for another house nearer the Training Center and became again, the quality striker, he used to be. Eleven goals since the start of the season + an assist.These feats gave him back his place with France’s national team. So, everything’s fine in Dédé’s world? For the moment, yes. Tonight, after five goalless weeks, he scored again versus Bordeaux at the Vélodrome(3-1) Super- Gignac is back but for how long ? His game, good or bad, depends of his mentality and his mental health is monitored by the people who surround him: family, teammates, media and of course his manager. Bielsa gave him new perspectives, but… PL’s football killed the hopes of many foreigner players, stronger than him.